When you're dealing with hazardous materials, using the proper hand protection is integral to your safety as splashes and spillages are inevitable. The Delta Plus Nitrile Coated Cotton Flocked Chemical Nitrex VE801 Gloves are resistant to a number of chemicals so your hands, wrists and forearms remain safe while you work. 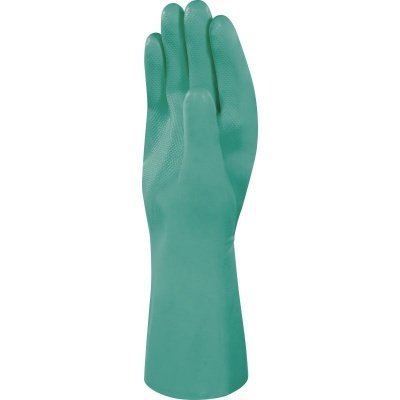 The gloves also feature a raised pattern on the palms and fingers to improve your grip and therefore reduce the risk of splashes and spillages occurring. 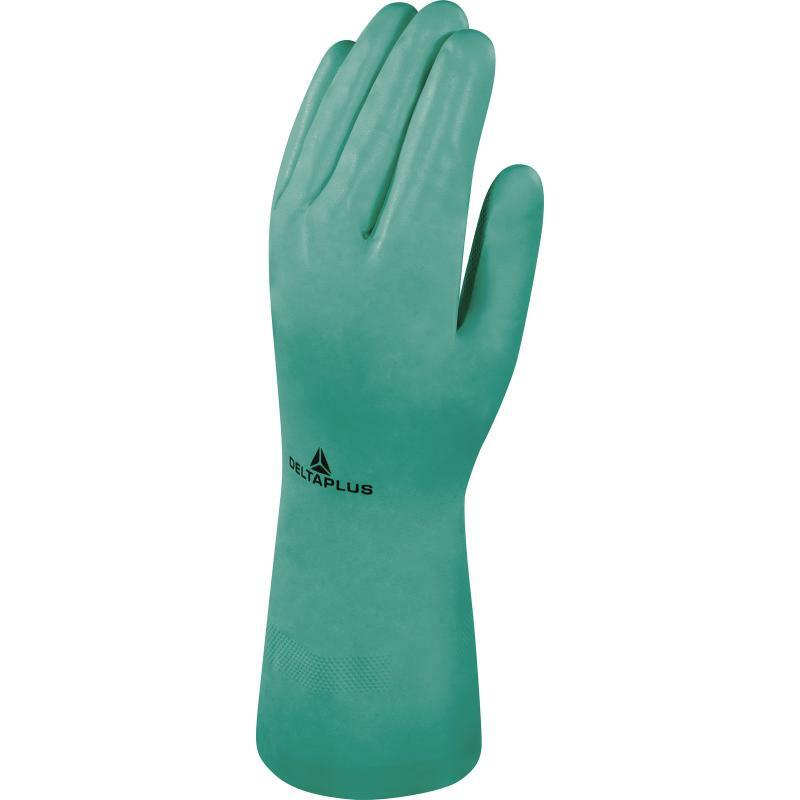 The Nitrile Coated Work Gloves are available in five sizes to fit most hands. Please measure the circumference of your hand around the knuckles (excluding your thumb) with your palm open and your fingers together. These gloves are 33cm in length to help protect your wrists and forearms. The gloves are also 0.4mm in thickness.